Do you like mice? 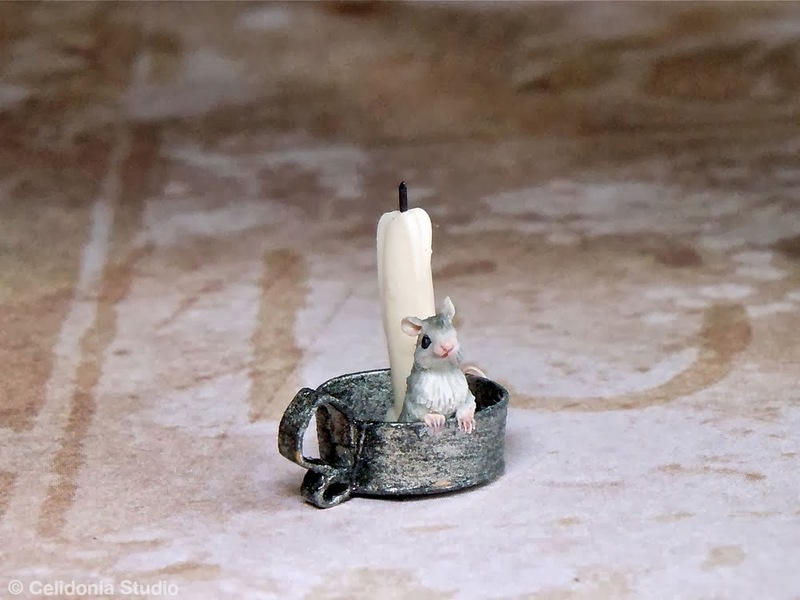 And do you like miniature mice? I would like to introduce to you Daniela Messina's mice. Made with great attention to details, they are expressive and look so real even if they are made out in polymer clay and high, on their feet, about 1 cm (0.4 in). 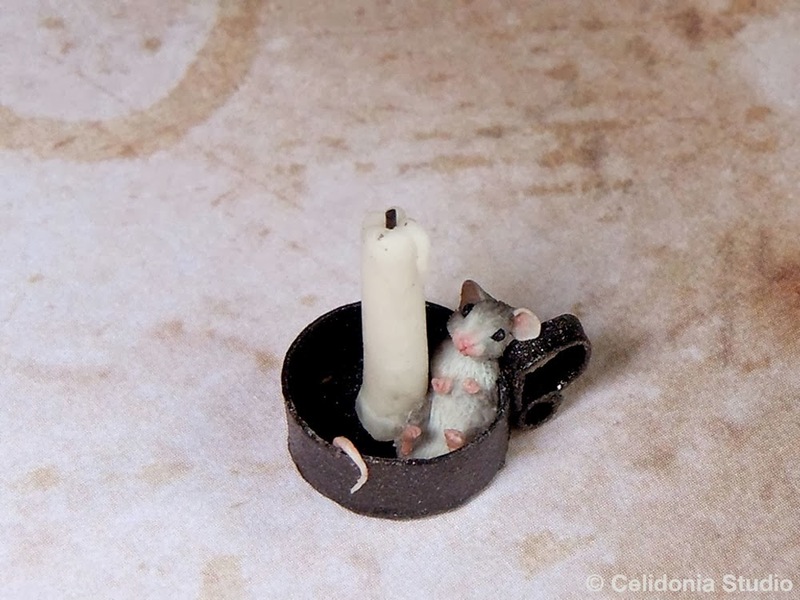 The mice in the pictures below are arranged inside candle holders that I've made just for them. 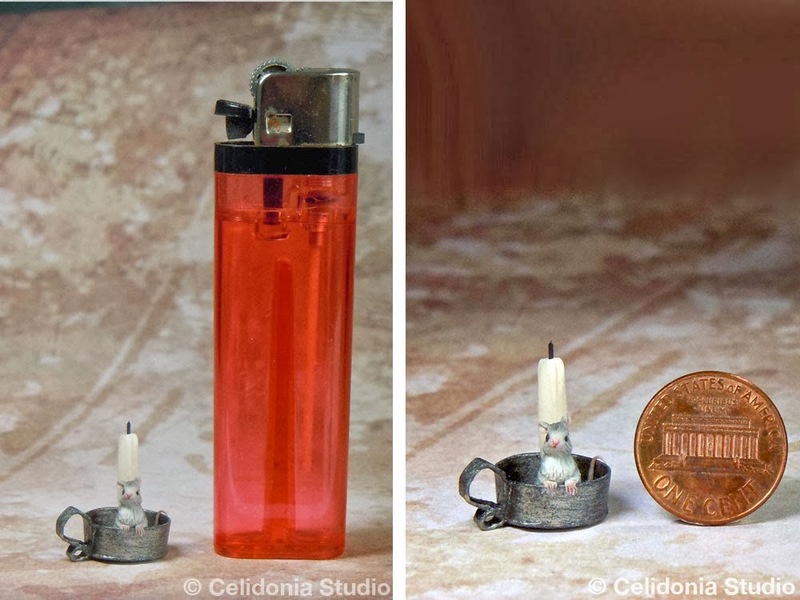 Daniela gives the magic touch to these works and you can visit her blog CelidoniaStudio to see a lot of other Daniela's wonderful miniatures. You can see her little treasures in person at Miniaturitalia, the only Italian dollhouse (and other things) fair. Great work from you and Celidonia! Thank you for the link to Celidonia's blog.